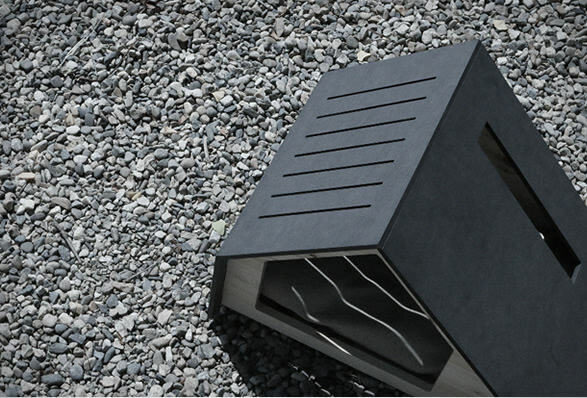 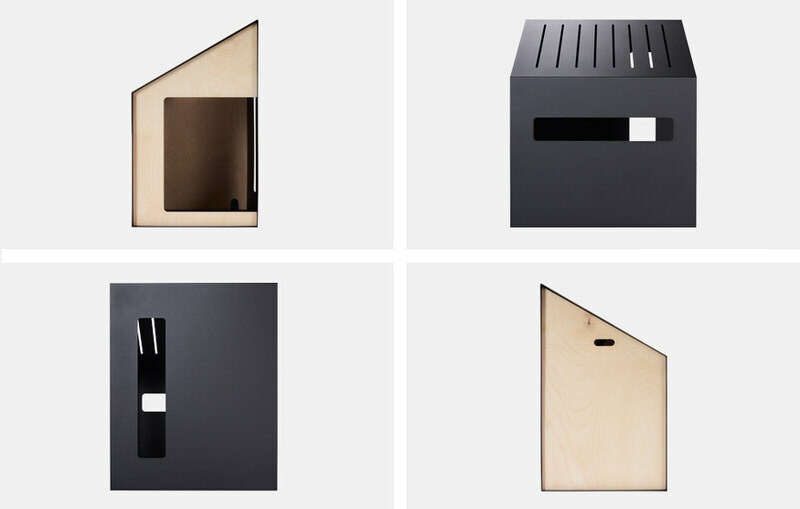 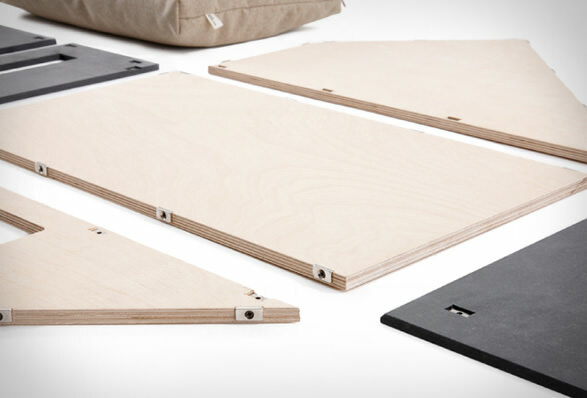 South Korean studio Bad Marlon have created this series of dog houses as well as a modular interlocking pen system with an emphasis on minimalist design. 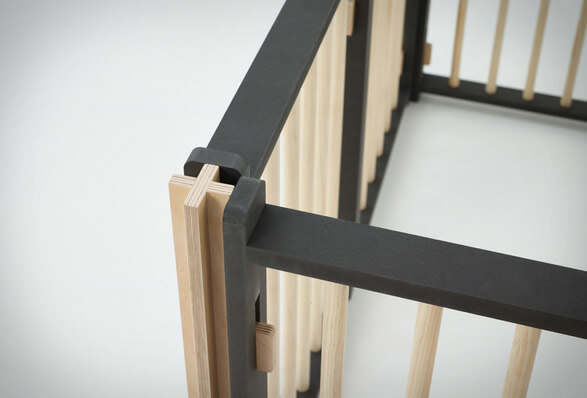 They feature a steel and plywood construction with apertures in each facade for the dog to look in/out of and interact with. 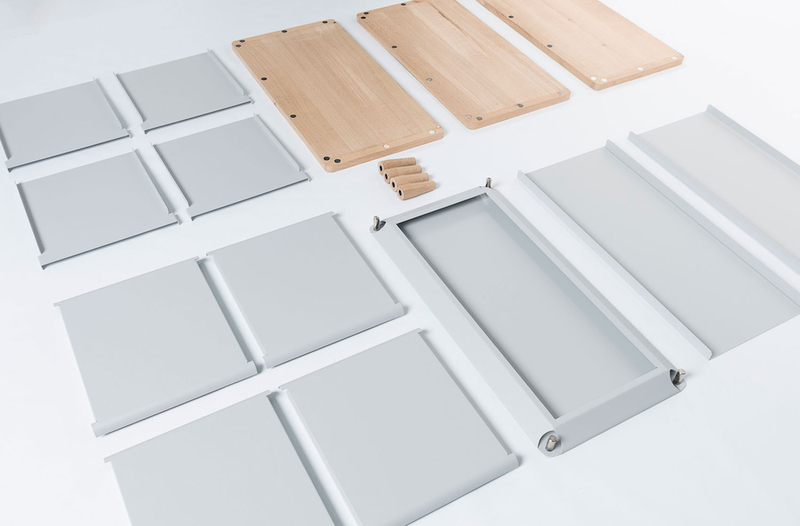 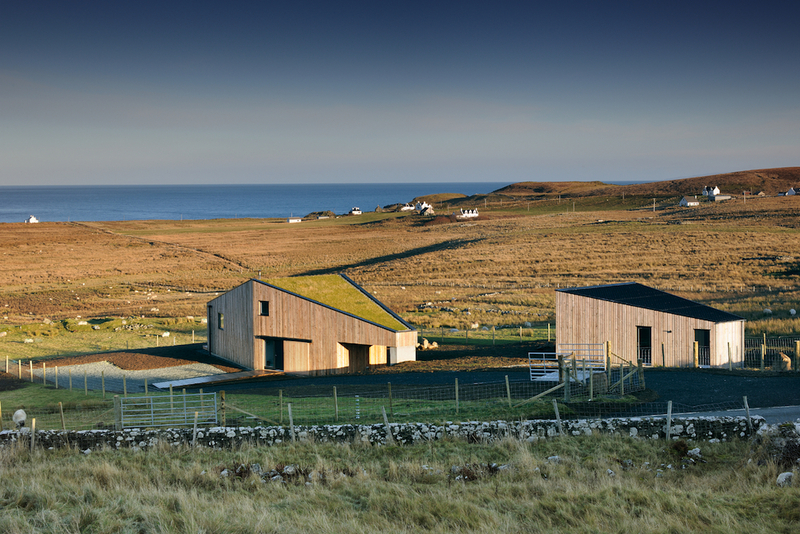 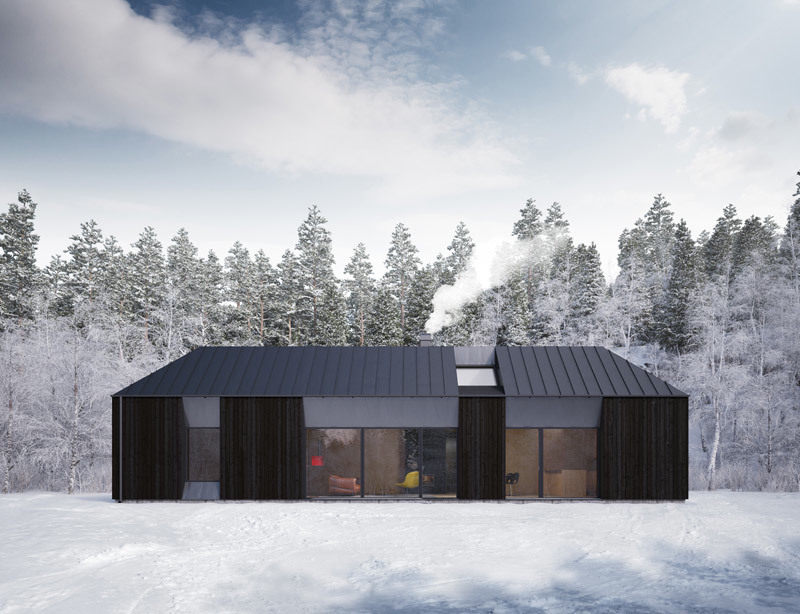 The Larvik House (pictured above) has been designed with an option for magnetic assembly so it can be packed away flat and re-built in a satisfyingly simple way without need of tools. 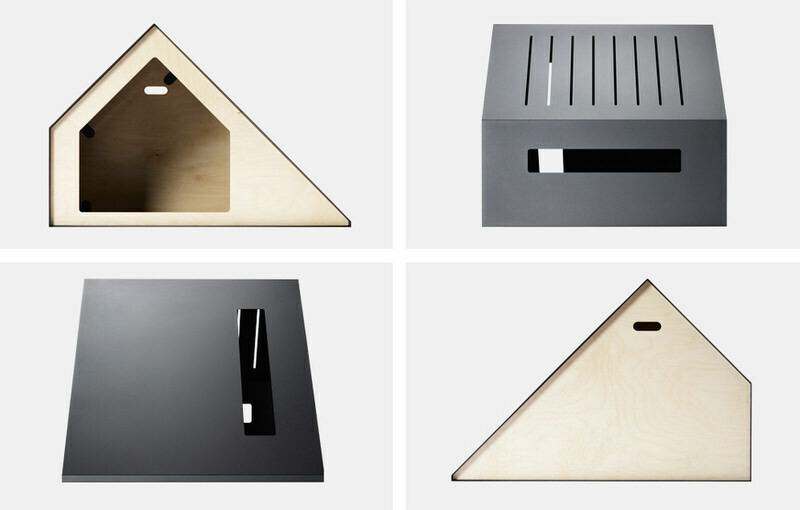 There are also ‘A’ and ‘B’ versions of this dog house available with mirrored designs so they can be set alongside each other symmetrically for a pair of dogs to share. 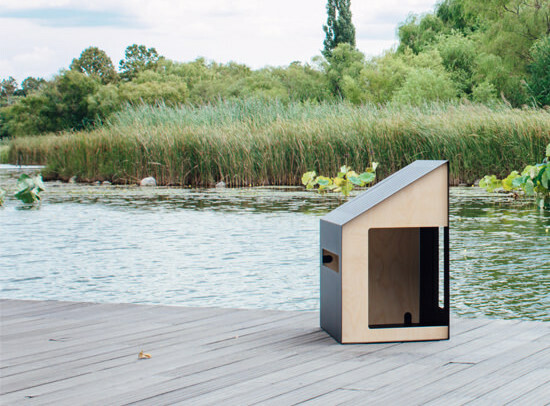 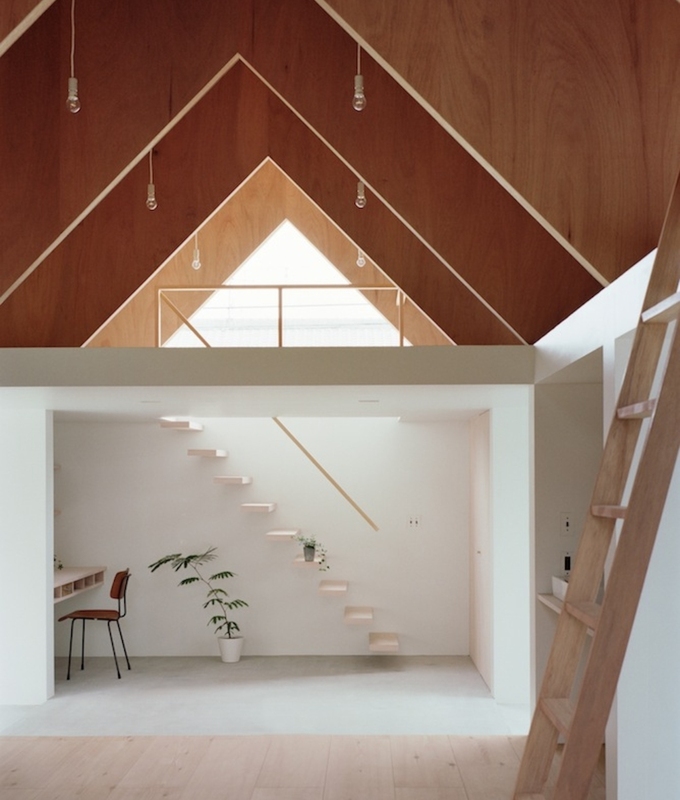 As pleasant as these dog houses are for humans to look at, it’s doubtful at best whether dogs actually appreciate minimalist design and would derive any particular pleasure from them. 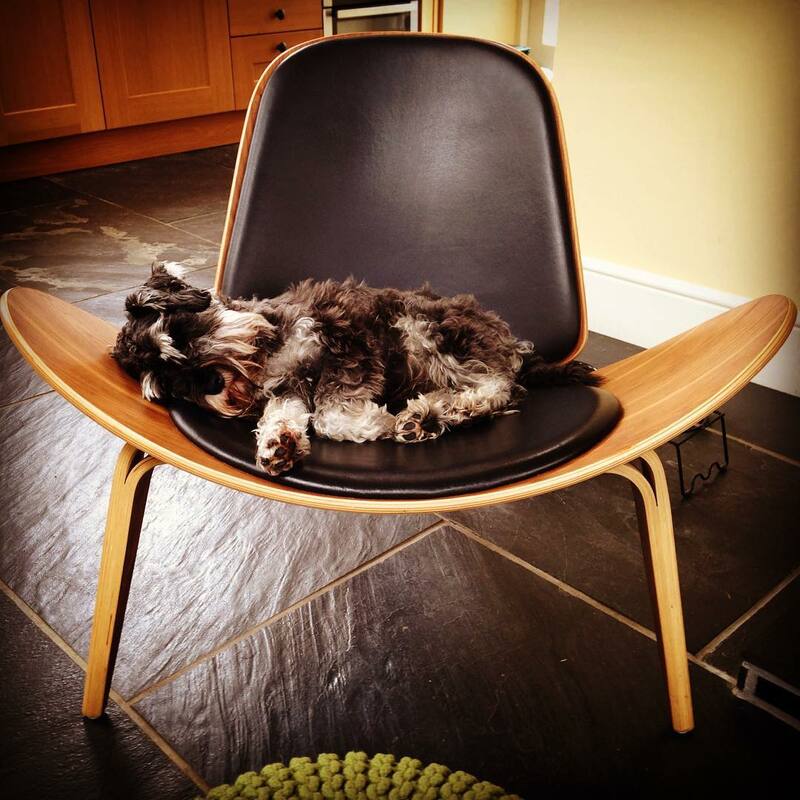 That said, my dog’s favourite den/vantage point alternates between a sheepskin-lined Eames DAW Chair and a Hans Wegner CH07 Shell Chair so perhaps there is something in it. 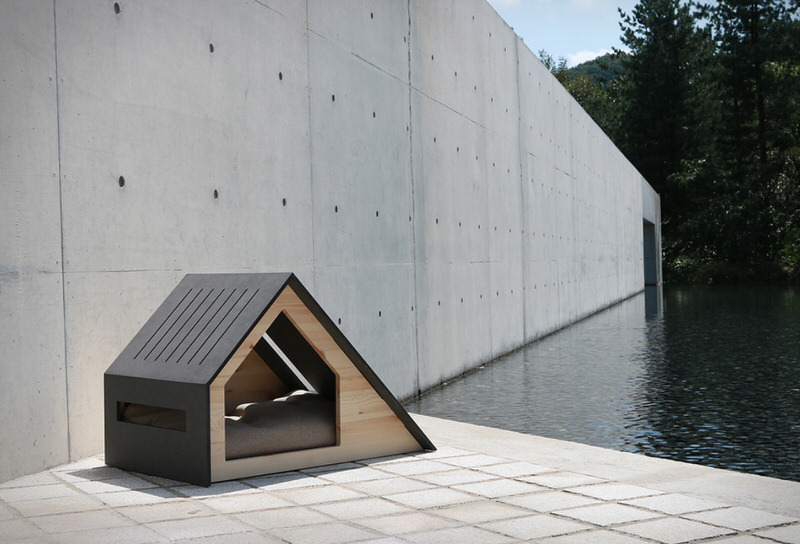 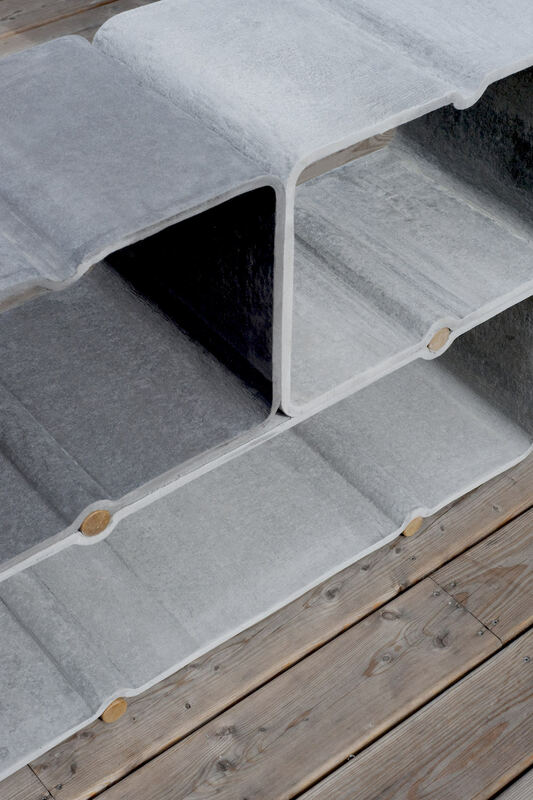 These doghouses are sold by Bad Marlon in their shop for between 340,000 and 420,000 South Korean Won (approximately £235 and £290) depending on which model you choose. 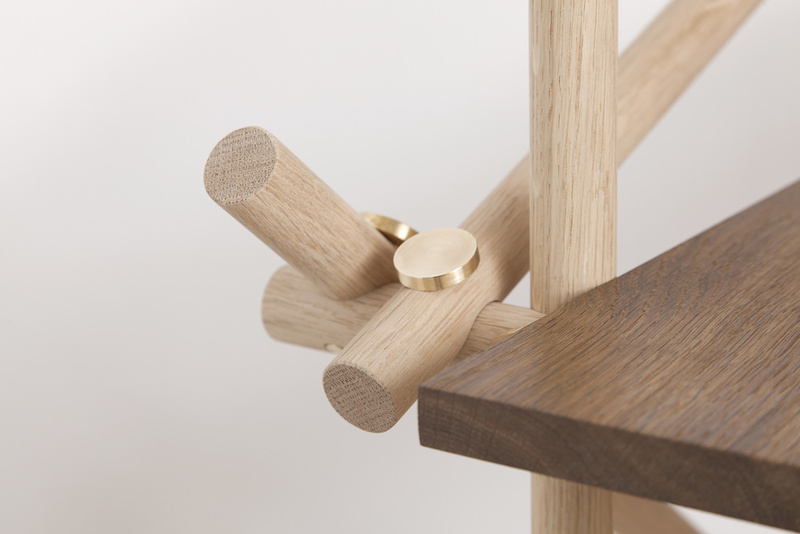 Bad Marlon’s design portfolio isn’t limited only to dog houses and pens, it also features colour-blended rope leashes as well as home living objects in the form of small wooden desk lamps.